The volume presents the best papers of the special issue 'E-Services' of the Journal of Value Chain Management. 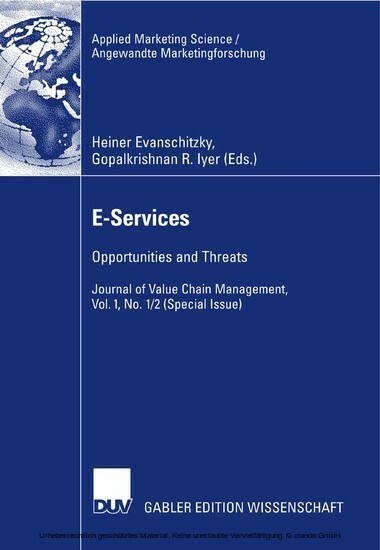 A group of well-known authors from around the world discuss the state-of-the-art of the research and development in various aspects of 'E-Services' including E-Commerce, international aspects of electronic services, growth through E-Services, satisfaction and loyalty in electronic markets, and service engineering. Dr. Heiner Evanschitzky ist am Marketing Centrum Münster der Universität Münster tätig. Prof. Dr. Gopalkrishnan R. Iyer leitet das Center for Services Marketing & Management der Florida Atlantic University, USA.